Assemblyman Mike Gatto and Senator Ted Gaines introduce bill to allow drones to be disabled if they impede firefighting. Drones Keep Getting in the Way of Firefighting in California. That Seems Bad. On Monday, two California lawmakers introduced a bill that would allow officials to immobolize drones that get in the way of emergency responses like firefighting. The bill comes in response to multiple incidents this summer and assorted others over the past few years. Assemblyman Mike Gatto, Democrat of Glendale, and Sen. Ted Gaines, Republican of El Dorado, want Senate Bill 168 to offer protection to emergency responders so they can disable drones that are hindering operations without the possibility of being charged with destruction of property later. Gatto said in a statement, “Drone operators are risking lives when they fly over an emergency situation. Just because you have access to an expensive toy that can fly in a dangerous area doesn’t mean you should do it.” It’s actually a great point—and one some people apparently have trouble grasping. On Friday, a large wildfire burned cars and houses on Interstate 15, but during the firefighting effort five drones delayed air units by 15 to 20 minutes. NBC Los Angeles reported that “two drones actually gave chase to air units.” (Seriously?) On July 12, a drone impeded firefighters for about 20 minutes while they were attempting to address a brush fire that was threatening four houses. On June 24, a firefighting aircraft working on controlling a brush fire in the San Bernardino Mountains was grounded to comply with FAA regulations after officials spotted a hobby drone flying in the area. And last summer there was a series of similar incidents. 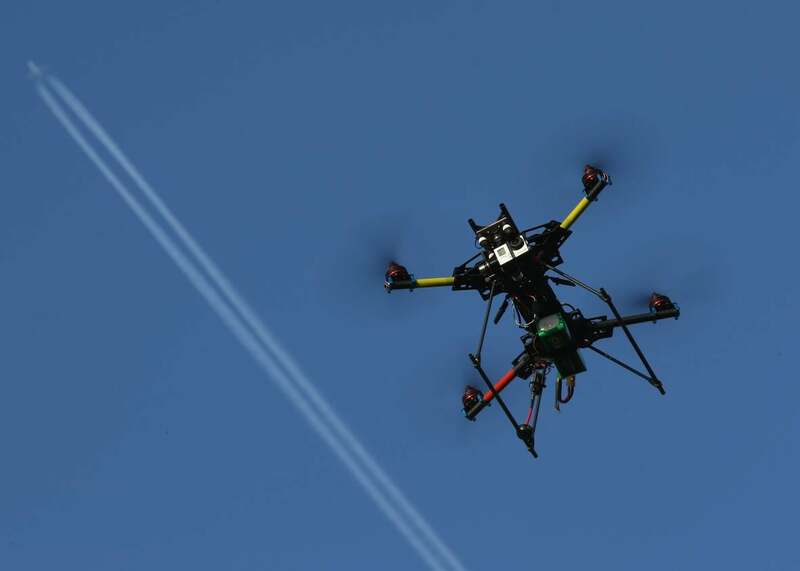 Gatto and Gaines are also working on another piece of legislation, SB 167, that would raise fines and potentially include jail time as a punishment for drone operators who impede emergency response efforts. “People can replace drones, but we can’t replace a life. When our rescuers are risking their own lives to protect us, I want them thinking about safety, not liability,” Gaines said. Drones are supposed to be helping with disaster response, not making things worse.